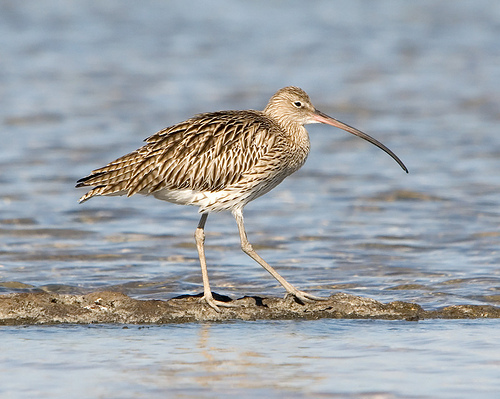 The Curlew is mainly found in coastal areas like the Wadden Sea or dunes. During the mating season they fly around continually calling 'wuuluup' . The Curlew is mostly known for its long downward-curved beak. 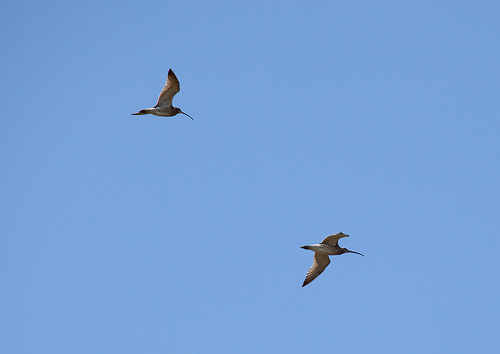 The Curlew is much larger than the Whimbrel and has a very long beak.